The Janazah and Fidau programmes for the late Justice Mustapha Akanbi have been unveiled. While, pre-Fidau programmes hold on daily basis at the late Jurist residence: No 6, Agbadam Street, off Ahmadu Bello way, G. R. A, Ilorin between 4th and 9th this month, the late Justice Fidau is to hold on Sunday, 10th of June, this month at Metropolitan Square, Asa-Dam road Ilorin, Kwara State capital. 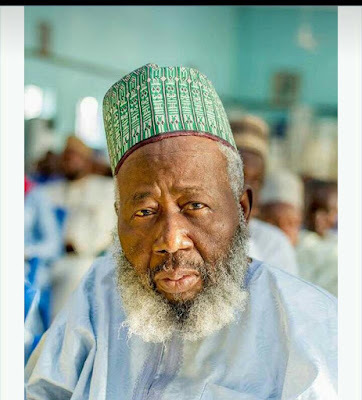 Below are the highlights of the pre and proper Fidau programmes for the late Akanbi who was a father, grand father and great grand father, as gathered by KwaraReporters. Late Honourable Justice Mustapha Akanbi (CFR) had since been buried in his house on Sunday, 3rd June 2018 in accordance with Islamic injunction. May his gentle soul rest in perfect peace.